Having Apple’s(s AAPL) new MacBook Pro with Retina display is like having 20/8 vision on the Grand Banks off the island of Newfoundland: the best human eyesight theoretically possible in the foggiest place on earth. You almost need to speak in terms of such absolutes and theoretical limits when measuring and comparing the displays that Apple is selling with the applications that run on its devices. The display technology is more advanced and the software needs to be updated to better accommodate the new abilities of the hardware. 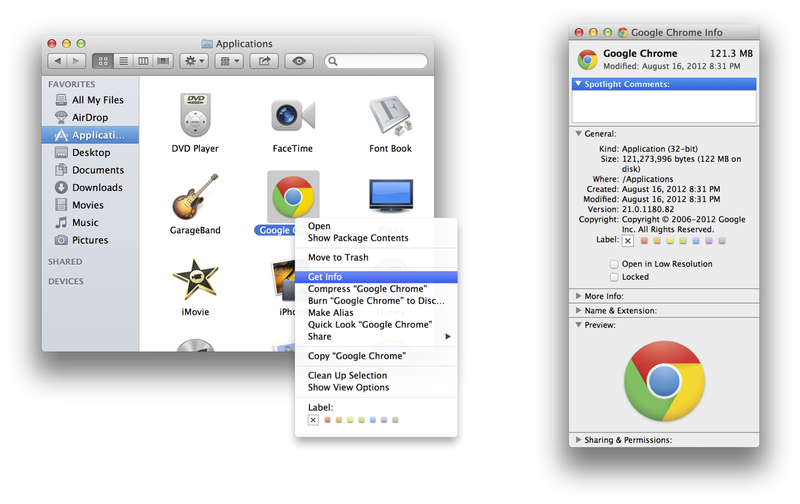 As native applications on the Mac transition to a brighter, sharper world, some applications will appear to be a bit fuzzy around the edges when viewed on a Retina display. Here are some things to look for in the new age of Retina Mac. While Adobe(s ADBE) has vowed support of Apple’s new Retina display standard from the beginning, other developers like Microsoft(s MSFT) have not been nearly as forthcoming. When it come to supporting the Retina display, Apple’s own Mail, Safari, iCal, Address Book, iChat, FaceTime, Photo Booth and TextEdit fit the bill. Additionally, iPhoto, iMovie, iTunes, Aperture, Final Cut Pro X, and Motion all support the Retina display. Unfortunately there is no easy way to tell which applications that you already have installed on your Mac do have Retina support. One thing you can do is check out each application’s information by right clicking on the application icon in the Applications Folder, and selecting Get Info. Here you will see a new setting titled, “Open in Low Resolution.” While this is not an indication of whether or not the developer has updated the application, you can see if the application is being forced to run in low-resolution mode. If you are experiencing difficulties with a particular application, or just want to see if you can improve things a bit, you may want to try to adjust this setting manually. One thing you do not get with the new Retina displays is more screen real estate. In fact, because of the added pixel density, it may just appear that you are dealing with less screen real estate than you are used to on other non-Retina display screens like the Apple 27-inch LED display. With the new MacBook Pros that have Retina Displays, there is a new way of configuring your screen’s resolution. You can either make the text on the screen appear larger, or give your applications more space by making everything a little bit smaller. Changing this particular setting for all applications sort of defeats the purpose of purchasing the Retina display in the first place. But if you bought the new Macbook Pro with Retina display for other reasons, like its slim design, or if you can’t stand some apps looking great and other apps looking a bit fuzzy, then you may want to try to adjust the resolution to a setting more to your liking. What developers are faced with when it comes to Apple’s new Retina displays, in most cases, is not so much a difficult task as it is a tedious task. Going back and re-cutting all of your graphics to accommodate a new resolution is more time-consuming for applications that have a lot of graphical content to display. This goes beyond simply resizing images. 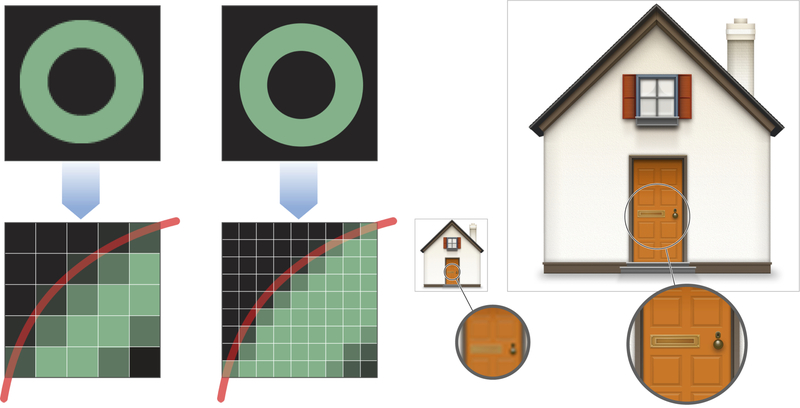 As an example, shadows and borders can become over emphasized on the Retina display. Fixing this would require some fine tuning of image resources beyond what simply scaling an image can provide. Apple has put tougher some guidelines for developers that are looking to update their apps to support Retina displays. But for the most part, it the subjective task of looking over every graphic in your application to ensure that is looks the way you want it to look on both the Retina and standard displays can be a lot of exacting work. For many, this means adjusting project timelines to accommodate the update to support the Retina display. On the positive side, apps that do update quickly will be included in various lists like this one, before supporting Retina display becomes more routine. Seriously, please do NOT buy any Apple “Retina” laptops until Apple fixes the issues with the display. Have you heard about the image retention problem that’s plaguing many early adopters of the Macbook Pro with Retina display (including myself). 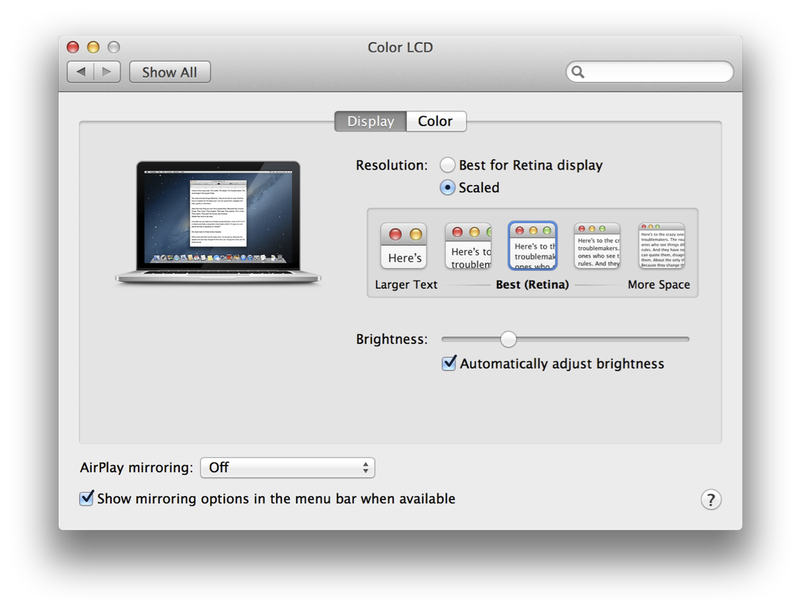 Google “Apple – Please Recall Retina Macbook Pros with LG Displays” for more info. This problem is REAL, check out the photos we’ve taken of our screens. If you’re a professional who needs the images on their screen to be accurate, please wait until they’ve fixed this issue. You can also find some updated apps by typing ‘Retina’ into the Mac App Store. Though most apps are being updated without adding the retina keyword to their search terms, this is a fun place to start finding news apps that advertise retina support. I was also hoping for an additional indicator like Kind, 64bit and AppStore in the System Information for Software Applications. Something that could quickly search through the app bundles plist files for a boolean like “NSHighResolutionCapable”. It would also be nice to quickly tell which applications (games) now support Game Center.